The "Natural Diamond" edition of Cristiano Ronaldo's signature Nike Mercurial line is the second chapter in a series of boot releases that chronicle the Real Madrid striker's rise to stardom. This chapter picks up Ronaldo's story at the age of 12 when he left his home in Madeira to play for Sporting Lisbon. The textured heel of the boot is meant to represent the rough edges of a young player with tremendous potential, and the smooth forefoot symbolizes the refining of that talent through hard work and dedication. The name "Natural Diamond" is a nod to the diamond in the rough forming his game under pressure. The boot is featured in a show-stopping Royal Blue with sparkling silver CR7 detailing. 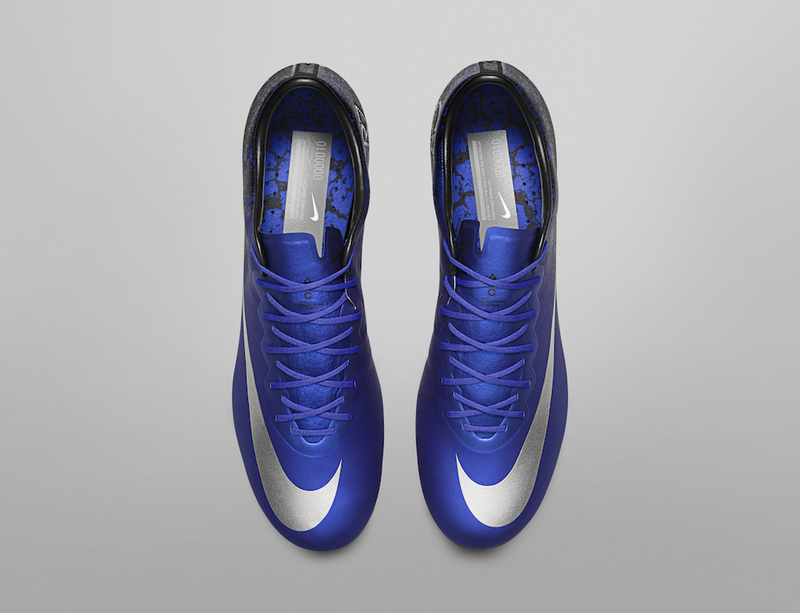 The CR7 Nike Mercurial Vapor X and Victory V are available in the Soccer Shop and online.